It doesn’t take too much work to implement some beautifying practices into your life each day. Before learning to engage in things that make us beautiful though, we need to be sure as women, we have a clear idea of just what beautiful really means. In my opinion, it’s peaceful, happy, having a sense of clarity, a humble heart, and of course the general stuff such as clear skin, strong and shiny hair, and a healthy body. Each of these are attainable for any woman who desires them enough to make healthy changes in her life. It doesn’t require a great deal of sacrifice either. Engage in some of these beautifying practices and use them daily in your life. I think you’ll see that not only are they smart and useful, but also a wonderful practice of self care. One of the easiest, most enjoyable, and most effective beautifying practices you can do as a woman, is to sleep more. If you need 9 hours, don’t feel guilty about that! When you rob your body of sleep, it suffers majorly. You’ll not only feel tired, but moody, your skin will look sallow and worn, your weight will be up and down ( or just up! ), and your eyes will naturally have dark circles. You’ll have a more negative outlook on life, crazy cravings, maybe suffer depression, and develop a need for caffeine. Just sleep more! Wake up to glowing skin that looks refreshed and well rested. Your skin cells actually shed themselves and build new skin cells all while you sleep. Don’t deprive yourself of this one beauty treatment! Your hormones will be more stable, and your appetite will be more regular. Sleeping more can do wonders for your mind, your weight and your skin. Try to go to bed earlier and sleep at least 8 hours and 9 if you need to on weekends. Using coconut oil is one of my favorite beauty practices. I use it to take off my makeup instead of harsh cleansers, as an anti-wrinkle cream instead of chemical versions, and also as a hair conditioning mask. I’ve even used it as a shaving cream, and also use it as my daily lotion. Coconut oil is rich in vitamins and minerals that have been said to prevent wrinkles, cellulite, dry skin, eczema and even depression when applied topically. The fats are soaked right into your skin, which directly affects every cell of your body. Most women don’t know that our skin is our biggest organ, and within 20 minutes, anything you put on your skin enters your blood stream. Don’t put chemicals on your skin! Beautify yourself with coconut oil instead. It’s natural, rich in Vitamin E and lauric acid to fight wrinkles, bacteria and dry skin. You don’t have to be vegetarian or vegan to get the beautifying benefits of green foods into your life. Eat your greens girl! Eating greens is one of the most beautifying practices each of us can do. They cleanse the blood, skin, digestive tract, help calm anxiety, stress, and their fiber helps keep you fuller much healthier than bread and heavy starches. Their chlorophyll content also helps alleviate a low mood, and it can help cleanse every cell of your body, prevent or treat acne, and even repair damaged muscles. No matter how you get them in, eat your greens in some form each day. This might look like spinach or kale in a green smoothie or in an omelet for breakfast, a huge green salad with fish or leafy greens on whole grain sandwich, and at dinner, it could be steamed greens with your choice of protein and a healthy starch or other vegetable. Implementing greens into your day in small doses will help you reach your daily quota, which is around 3-4 cups. Feel free to add more though as greens are freebies! One of the most beautifying practices you can engage in daily is being grateful. Being thankful for your blessings, and thinking about all you have in life, even if it’s not everything you desire, can make you a happier person. A happy woman is a beautiful woman. Just think about the sheer blessing of a roof over your head, smartphone in your hand and food in the fridge. There are millions of people all over the world that don’t have these very things. Being grateful can help you embrace life and think about what really matters. You’ll naturally wear a more beautiful smile when you’re grateful for your life. Another tip for your beauty regimen, is to only wash your hair every other day. Why? Because this allows for the natural oils in your hair to do their thing, which can help keep your hair shiny. Going just one day won’t make it oily either, and be sure you use a good conditioner. If you have dry hair, I also suggest using a good moisturizing shampoo. If you have dandruff, consider using a shampoo like SYOSS, which will still help cleanse the scalp, but won’t make it dry and flaky, or oily either. This is also a great tip for extending the life of your hair products, and it can even help your hair grow faster by less tugging, pulling, and drying each day. Have you had rooibos tea yet? It’s also known as red tea, and it’s one of the best beverages outside of water you can drink for your skin. Rooibos is high in antioxidants, caffeine-free, and it’s excellent for relieving inflammation, dry skin, uneven skin tones, blemishes, red skin, and basically anything wrong with your skin. You can buy it in loose leaf or tea bag form, and you’ll especially love the sweet taste of this delicious beverage! It’s so important to choose caffeine-free over caffeinated most all the time. A little coffee or caffeinated tea is fine in small doses early on, but too much caffeine stresses your adrenals, which makes you look and feel, extremely tired. Another tip I’d give any woman looking to improve her beauty is to eat her way straight to it! Eat foods rich in color like blueberries, raspberries, sweet potatoes, green vegetables, red veggies, orange veggies, orange fruits and veggies, yellow veggies, and include them every time you eat. Doing so, will ensure you’re getting tons of vitamins and minerals through your meals, which your body prefers. Your skin will shine and be clear, your weight will be at its best, and your mood will be amazing! These things all create a prettier woman, all with just several delicious bites throughout the day. Another tip to help increase your beauty is to eat your omega 3 fatty acids daily. These fats help decrease wrinkles and prevent them, clear skin of acne and inflammation or dryness, and also help keep your waist in tip top shape. Omega 3s not only fight inflammation and dryness, but they also help burn fat in your body. Get them through flax, chia, hemp, salmon, trout, halibut, tuna, acai berries, walnuts and spirulina ( a superfood). All of these foods will help beautify you in no time, and they give you energy to aid metabolism. 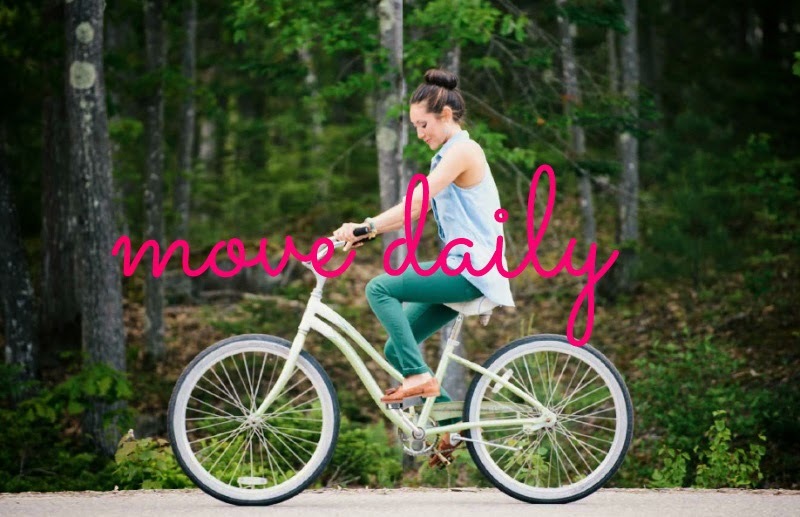 Another simple tip to help keep you beautiful is to move daily! Exercising prevents depression, increases your heart rate, and burns calories but it can also increase your heart health to keep your blood flow optimal. Proper blood flow gives you a nice rosy glow, and makes you look more youthful. It also helps improve digestive function, which can help make you regular. 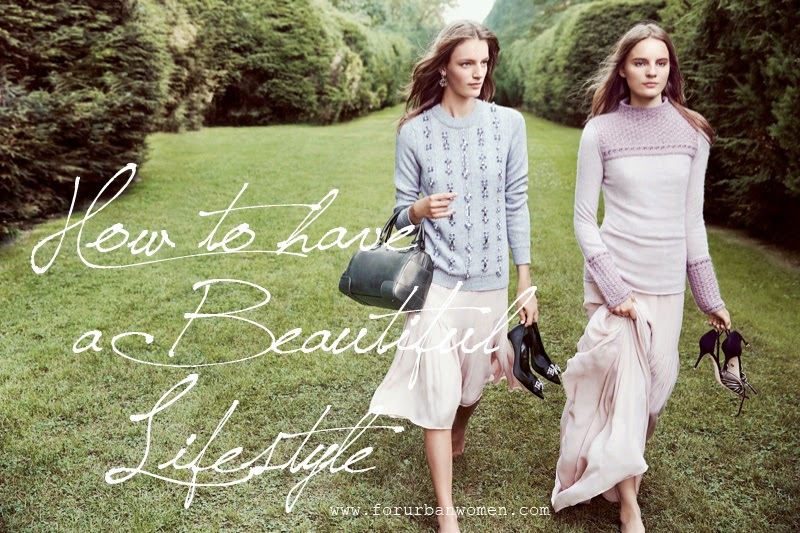 These are all important for making you look and feel more beautiful. I suggest exercising 45 minutes daily if you work a sedentary job, and at least 30 minutes if you work a job on your feet all day. Also try moving more at home, whether through chores, cooking, or just playing with your children, pets, or taking walks outside. You’ll sleep better too, as a bonus, which remember- is a beauty tip all on its own! Do you have a beautifying practice you engage in daily?